Salisbury, North Carolina Real Estate: Picture Perfect Under Contract in 4 Days . . . and SOLD! Picture Perfect Under Contract in 4 Days . . . and SOLD! Some properties are just too good to be true and the pristine Tudor cottage at 508 W. Henderson Street in Salisbury, North Carolina is one! And thanks to Realtor Greg Rapp ~ this home was under contract in just 4 days...and is now sold!!! On a winding road that takes you through the City Park neighborhood, sits this all-brick 1.5 story cottage on a double parcel of land. 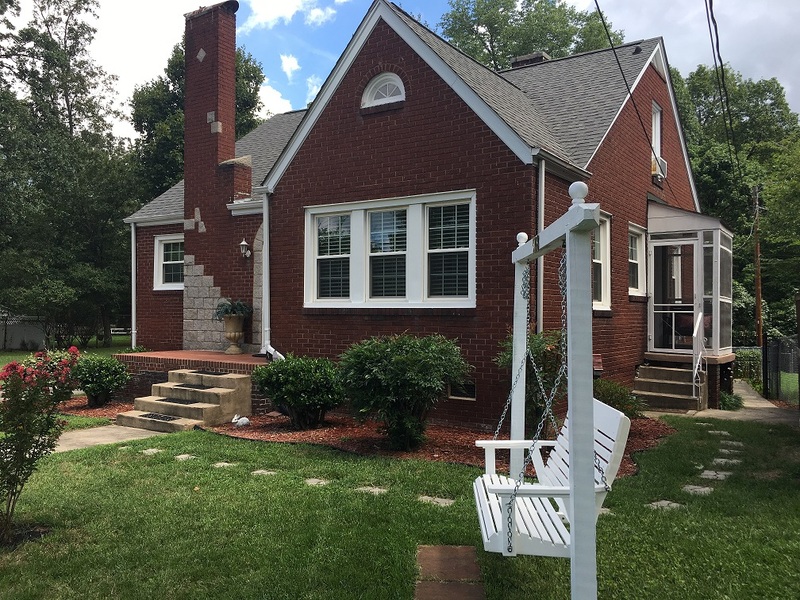 Up the walk past immaculate landscaping and through the fairy tale arched door, lands you in a spacious living room with its circa 1942 fireplace with masonry mantel and surround. Light meets bright in the nearby dining room with its sparkling chandelier. Note the pretty hardwood floors spanning these two gracious rooms. The story-book kitchen is a custom crafted joy, with its. Sparkling white granite counter tops gleam in this cheerful space. Just off the kitchen is the sweetest little sitting spot nestled into a small breezeway entrance that leads to the home's side walk...sure to be a favorite spot for perusing Southern and French cookbooks! Upstairs, a very private master suite greets you, complete with large sleeping area, a sitting room, two full closets artfully tucked under the eaves, a linen closet, and a full bath. Wood floors painted creamy white brighten this upstairs oasis, where you will look forward to escaping your day-to-day doldrums in this warm, wood clad privacy zone. You might think you've seen all there is to see in this darling home at 508 W. Henderson Street, where fastidious owners have kept this home immaculate. But no!!! Take a walk around the back . . . Behind the house, accessible from the back yard, is a spacious screened-in and lighted patio area . . . perfect for entertaining. The garage door leads to an under-house garage, workshop, basement area. Further along the back drive, another building awaits. A former music studio, this heated, cooled, and completely wired outbuilding is equipped with soundproof walls and makes for another great entertaining area, workshop, artist's studio. . . let your imagination run wild! Outside this outbuilding is a patio with firepit for enjoying summer evenings. Another small shed and carport are in the adjoining lot. 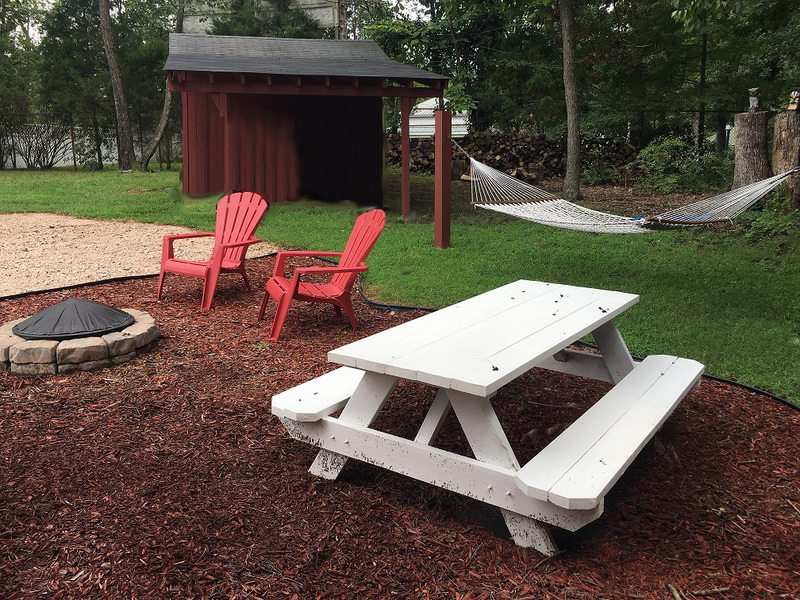 As if all this were not enough, this wonderful home at 508 W. Henderson Street backs up to woods, the beautiful Hurley Park, and the Salisbury Greenway, offering the ultimate privacy in the back yard. We knew this pristine cottage would not linger on the market, and we were right! LGreg Rapp at Wallace Realty listed this home on August 4th, 2018. . . and had it under contract by August 8th. On September 24th, Greg closed the deal on this house. When you need a Realtor that can make things happen in real time, call Greg Rapp: (704) 213-6846. Make sure your real estate deal doesn't get away from YOU!